So Good Magazine Recipes Book #2 is the most extensive, complete and up-to-date recipe collection in international haute pâtisserie. In one unique volume we have included a complete index of all the recipes published from issues 9 through 16 of So Good Magazine. 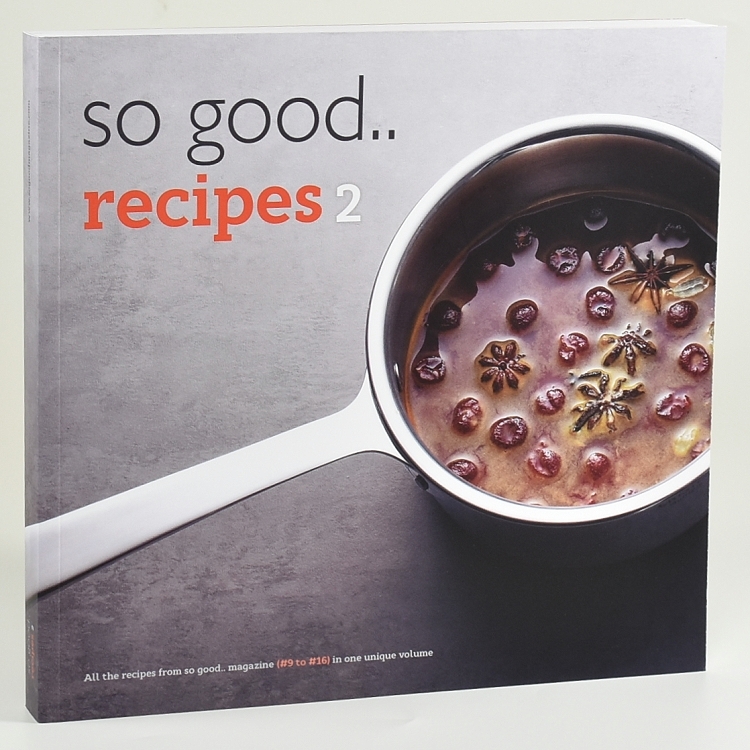 150 chefs from around the world who have collaborated in these 8 issues of So Good are the creators of the more than 1,600 recipes included, 50% more content in comparison to So Good Recipes volume 1. 12 product families (mousses, creams, sponge cakes, gelatins, sauces, ice creams, etc.) distribute all the information by sections and sub-sections. The reader can also quickly search according to the type of ingredient used or according to the chef who has created each recipe.